The book was okay. I liked that it was another aspect of WWII that doesn't get much attention. 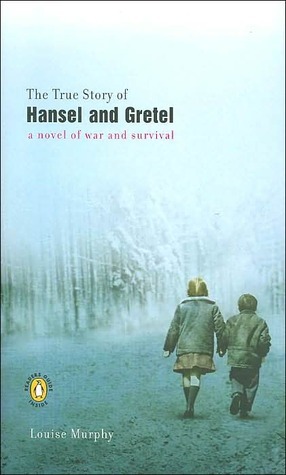 The story follows one Polish Jewish family as the are separated while fleeing the Nazis and struggle to reunite and stay alive. I really enjoyed the fact that the Stepmother was not portrayed as being evil and heartless, but rather fierce and loyal. She did all she could to protect her family and keep them safe. I didn't really understand how Magda was a "witch," unless it is just due to her Gypsy heritage. It just seemed mostly like a childish nickname caused by her living alone for so many years. Aspects of the fairytale were woven in very well and I never knew when one was going to surface. The reason for not rating this book very highly was because the tone of the book was very flat. The language didn't alter when "important" scenes occurred, leaving me a little lost as to where the story was trying to go. There weren't really any climaxes to keep me interested in the story and want to keep reading. To some, that would probably be the best part of the book, since it treats it more like history than fiction. But I wanted just a slightly more dramatic tone to the book. Overall, it was good and I would probably recommend to WWII historical fiction lovers.